The Chandi Path is an old and respected sadhana for sadhus in India. Many have been the commentaries written about it. But the modern commentary written by Swami Satyananda Saraswati of Napa, CA is a masterpiece. Now this book Sahib Sadhu is the story of this Swami. It traces his growth – from a young American man with the urge to know more to his meeting with the Guru, his seva and ultimately initiation from the Guru. 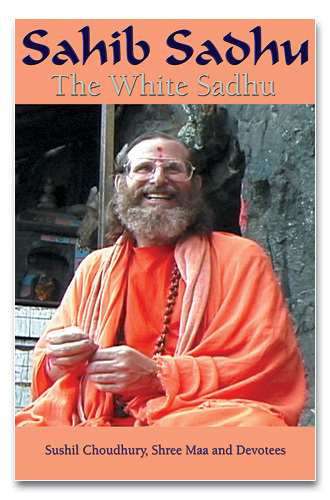 It is depicted with humor and gentle understanding the prejudices faced by a “Sahib” – a white man – at the hands of the native villagers and then their growing respect and acceptance of him.It is written from the viewpoint of a young village boy who was so fascinated with the Swami that he kept sneaking off into the cremation grounds to do seva for him. And when the Swami matures into a great man, so does the author – from a simple village boy to one that holds an important position in the Indian government.A wonderful heartwarming book.